Their growth was part of their problem. By 2001 it had expanded to 2000 employees spread across much of Louisiana and Mississippi, operating 200 ambulances, seven helicopters and three fixed-wing aircraft. But their hiring practices hadn’t caught up: There was still very little structure, and much of their screening was based on no more than gut instinct. With the company now hiring from 300-400 employees a year they needed a better way to manage the process. The Chief Medical Officer was also virtually running HR at the time. He realized his organization needed a more objective, consistent method for hiring, both to decrease turnover and to ensure better legal compliance. 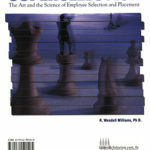 To build a better system, he turned to longtime colleague Dr. Wendell Williams and his consulting firm ScientificSelection.com, LLC. Dr. Williams recommended a full-scale redesign of their screening procedures, expanding the process for each candidate from one hour to three. The new system includes the Attitudes, Interests, and Motivations (AIMS) profile tests, a comprehensive behavior-based interview package, and a role-playing scenario designed to reveal how candidates handle interpersonal challenges on the job. Each element was customized for both ground and offshore positions. ScientificSelection tested the screening techniques extensively on current employees to validate the process and make adjustments. Merely getting the far-flung offshore employees to take the tests was a challenge in itself. Two years after implementation of the new screening process the company has seen dramatic results: their offshore turnover rate has dropped from 50% to 25%, which they attribute directly to finding candidates with a better fit for the offshore environment. On the ground their turnover has gone as low as 16%. In an industry with a largely young and highly mobile workforce, that result may be just as impressive. Read other real-life applications of ScientificSelections performance-based approach to assessment development.